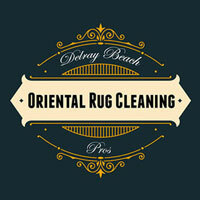 Delray Beach Oriental Rug Cleaning Pros specialize in serving customers with expensive, unique or delicate fabric area rugs. Having your Oriental rug, Persian rug or Antique rug cleaned using standard methods can lead to disastrous results. Our expert rug cleaners will take exquisite care of your expensive Oriental rugs, an Antique rug, or your heirloom Persian rug. We also offer rug repair and rug restoration. Oriental area rugs – handmade by experts and frequently using delicate materials like silk, these rugs are a masterpiece of design and can last for decades with proper care. Persian area rugs – these frequently feature very complex knitting patterns on top of natural dyes, both of which need a gentle cleaning process. Chinese area rugs – among the most common oriental rugs we get, Chinese rugs are the culmination of knitting skill honed for thousands of years. Indian area rugs – another type of exquisite oriental rug, washing your Indian rug the wrong way just once can cause discoloration. Tribal area rugs – usually made by various nomadic tribes from Asia and the Middle East, tribal rugs are some of the most beautiful pieces you can find, but also the ones that need the most care. Flokati area rugs – coming from the Greek mountains, Flokatis are made using freshly-shorn wool and special techniques native to the region. Cleaning an oriental or antique rug requires intricate knowledge of its creation process, from the first knots to the finishing touches. Many Oriental rugs you see are handmade from start to finish, making them a costly purchase for the average rug enthusiast. Because of this, you can't afford improper care compromising the state of your rug, regardless of whether it causes loose knots, faded colors, damaged edges or any other issue. 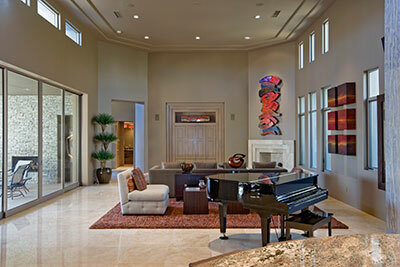 We will never start the rug cleaning process until we have answered several important rug questions. Only when we have successfully answered all of these questions can we begin the cleaning and repair process. What are the materials used? Are the dyes natural, artificial or mixed? What type of wool was used? What kind of knots does the rug have? When washing these types of rugs, it's best to minimize their exposure to machines. Cleaning with machines is easier, but also much rougher on the rug, and often leads to irreversible damage. Instead, Delray Beach Oriental Rug Cleaning Pros wash every inch of delicate rugs by hand – this gives us more control and lets us monitor how the rug is holding up. 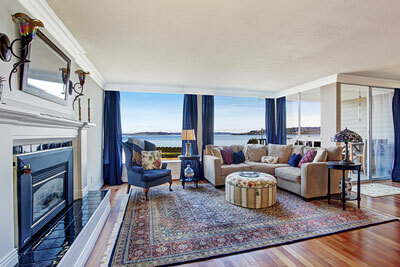 To know what our Oriental rug cleaning process will look like, a thorough examination of the rug will be necessary. 'Oriental rug' is somewhat of an umbrella term. Sometimes, even the rug owners themselves won't know exactly where the rug came from and how it was made. An Oriental rug can hail from a range of countries, each with their own weaving method. Fortunately, a closer inspection is all our experts need to determine the best course of action. As an example, age will play an important factor in the cleaning process. While your rug might not be antique, older fabrics are more brittle and require more attention, especially if they were not treated with enough care throughout the years. 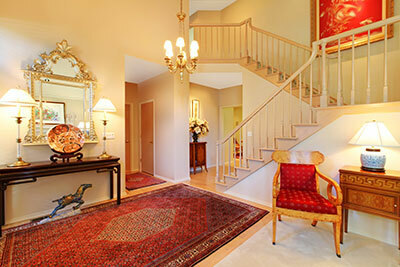 Once we know the type of Oriental rug we are dealing with, we can proceed to clean it on multiple levels. Thanks to our experience in the field, we are rarely surprised by how a fabric reacts to our treatment. However, different conditions can have varying impacts on the fabric, especially fine ones like wool or silk – on most Oriental rugs, these materials avoided a heavily-industrialized manufacturing process and are therefore more vulnerable. Each Oriental rug cleaning job we do is tailor-made for the specific rug on our hands, and there's no way to know the amount of work needed without an assessment. Sometimes, the final steps will involve merely drying the rug correctly, whereas at other times a recoloring will also have to be performed to restore the rug's shades. 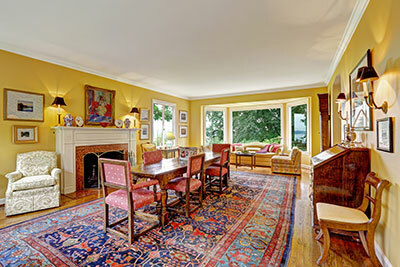 Antique rugs are perhaps the most difficult type of rug to clean. These rugs are usually hundreds of years old (even thousands, in some cases), which complicates things greatly. A contemporary antique rug might have been used by dozens of owners, each with their own idea of what rug care should look like. Thus, the cleaning job will also involve a fair bit of restoration, from seams to dyes. At Delray Beach Oriental Rug Cleaning Pros, we are not satisfied with the job done until the rug looks as good as it can given its age and initial state. As is the case with Oriental rugs, what complicates matters further is the lack of an industrial manufacturing process. While handmade rugs are more durable, their fabrics – and the colors, in particular – are more susceptible to external factors. Since people in the past had to rely on manual labor during every stage of the rug manufacturing, including the gathering and preparation of the fabrics, the appearance of the rug might be more vulnerable. 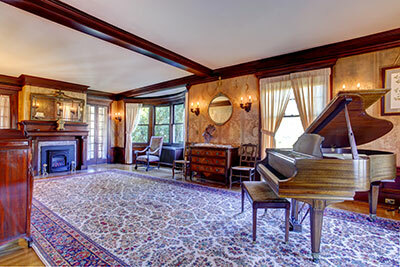 When we clean your antique rug, we'll use only the most gentle methods and natural solutions. After we've determined the rug's age and origin, we'll test out various all-natural cleaning solutions to find the very best choice for your rug. Your antique rug might be hundreds of years old, but we'll do our best to make it look as close to what it did on the day it was made. Your Persian rug probably took 6-12 months to make and has traveled a long way to reach you – don't let it go to waste by being haphazard about its cleaning. Like many exotic handmade rugs, Persian rugs often feature some combination of fine wool, silk and quality cotton. Having more than one material make up a significant portion of the rug makes the cleaning process challenging, and only suitable for experts. Another key point of many Persian rugs is that they feature intricate designs, owing to their makers' religious beliefs. A wide array of colors was often used in order to make the rug seem less like floor covering and more like a work of art. Because of this, Persian rugs are used for decorative purposes more than anything else, although this doesn't make them immune to damage. Having pets, in particular, can put your fine Persian rug in constant danger. Our professional rug cleaners have a great eye for detail and will ensure that none of the design gets compromised as the rug is being cleaned. We're also aware that Persian rugs sometimes include both pre- and post-colored threads, the latter being at greater risk of discoloration. If necessary, we can also re-color parts of your rug that have faded over the years, improving its appearance. It's generally agreed upon that silk is the king of fabrics. No other material is as pliable and yet possessing such timeless beauty. A silk rug on the floor serves mostly as interior decoration – few will dare walk over it, even barefoot. Still, even with our utmost caution, spills can happen, and children and pets can easily find their way to your beautiful rug. Silk's innate qualities allow rug makers to create extremely detailed and vivid designs. No other rugs will have as many knots, and dozens of different colors will sometimes be used as the rug is being styled to perfection. 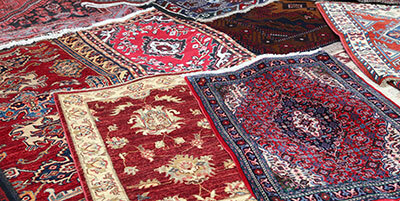 Some rug cleaners will refuse to clean silk rugs, fearing they might damage them. With the level of finesse we apply to every cleaning job, we have no such fears. Cleaning a silk rug needs to be done swiftly, but not enough to overlook any part of the process. Whenever possible, we'll try to avoid actually washing the silk rug due to its vulnerable dyes, but we won't shy away from it if necessary. Because silk can have problems retaining its dyes when watered, we'll use a dye stabilizer to keep everything in order. We'll also pay double the attention to the pre-inspection process, and will only start when we have familiarized ourselves with every inch of the rug. Afterwards, we'll quickly wringe the silk rug to remove any moisture, wasting no time – once we're done cleaning, we aim to fully dry our silk rugs in no more than a few minutes. Wool is renowned for its ability to preserve heat and also for the comfort it provides. While wool fabric is exceptionally durable, it doesn't mean that it's immune to wear-and-tear, either from traffic or aging. Wool tends to age well, but steps should be taken regularly in order to keep it soft and fresh. Despite being a natural repellant of both water and fire, dust and grime can still find their way into the rug and damage the fabrics over time. Due to how tightly woven the handmade wool rugs are, a simple vacuuming won't always do the trick. Thankfully, we begin every cleaning process by a dry elimination of dust and dirt particles before we move on to the washing part. Even a new, machine-made wool rug can be expensive to clean. If your wool rug is decades or even centuries old, proper care becomes imperative as having to throw the rug away would be a tremendous loss. The durability of wool rugs and their ability to stop liquid from penetrating through the surface makes owners underestimate the destructive power of various spills. Some of our most frequent clients are owners of fine wool rugs who have waited too long to deal with a spill, with the discoloration seemingly becoming permanent. Because many wool rugs are white, owners will mistakenly pour chemicals to deal with the spill thinking they won't cause change the rug's appearance. Unfortunately, not only will these chemicals harden the affected area and make it rougher, but they can also cause discoloration even on rugs that are 100% white. Instead, let us deal with your spills using natural cleaning solutions and our hot water cleaning method, so that your warm and comfortable wool rug can last for generations.